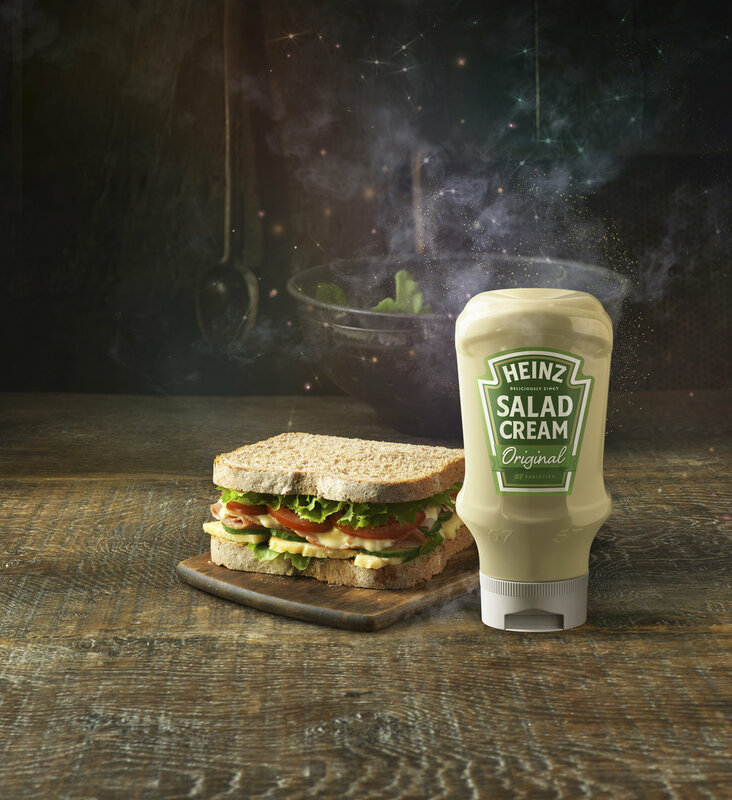 For the release of the Heinz Sauce Range, it was requested that we create the bottles as CGI elements in an environment that emulates the feeling of a magical kitchen that delicious flavours would be rustled up in! Building the bottles in CGI allows the client to change the language of their labels to use in different markets across the world hassle free and most cost efficiently. The smoke was then created in retouching and that, the photographed background by Diane Miller & the CGI bottles were comped together to create the overall image.